Thank you for your gracious and illuminating response to what has been variously described as my ‘rant’ or ‘attack’ on cathedrals. One blogger said ‘provoke the deans at your peril’, which was more than I probably intended to in sketching a brief blog on my phone whilst walking to lunch from St Paul’s Cathedral. Nevertheless over 5000 people have read and many engaged with the post and it has clearly stuck various chords with some. overestimating a) the evangelistic potential not of preaching itself (you know there’s no higher gift of grace in my book), but specifically of preaching to passers-through, within an act of choral worship; and b) underestimating the substantial and effective evangelistic work we are doing, and the ways in which we’re resourcing the evangelistic mission of the church beyond our own walls. The latter point you, and various other Deans including Michael Sadgrove, Nicholas Henshall and our very own David Ison (in the blog comments) as well as Missioners Anna Norman-Walker and your very own Richard White have addressed quite spectacularly. The picture painted is of hundreds of thousands of attendees a year, numerous missional activities and engagement and (one presumes) scores of conversions and baptisms of new believers in each Cathedral as a result of all of this gospel enterprise. It leaves me eagerly anticipating the next round of figures for 2016-17 that David Goodhew and colleagues will no doubt helpfully analyse. 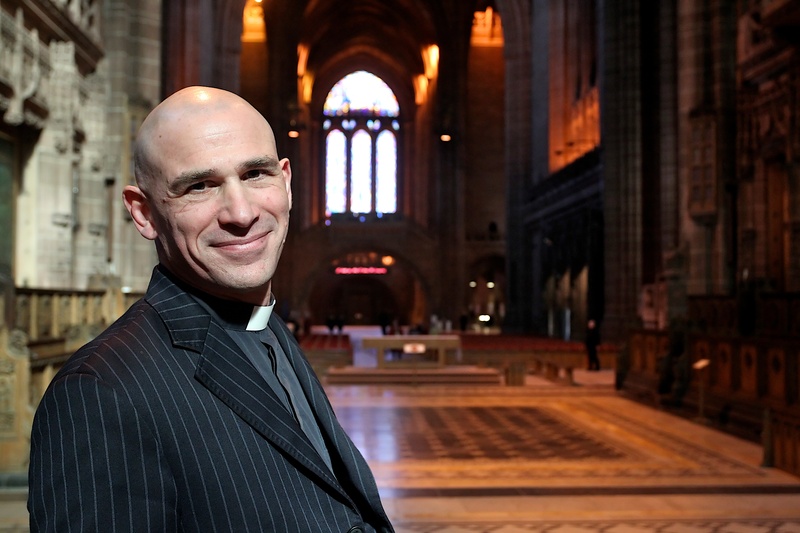 Five out of Nine regions in England report growing Cathedral worship. Midweek attendance has been the most important factor which might suggest the importance of concentrating significant resources there. Average Sunday attendance at a Cathedral in 2011/12 was 442 (391 outside of London). As a comparison there are c.160-170 churches in the CoE with more than 350 adult members. At the end of your blog you provocatively(?) ask me if I might be called to Cathedral ministry. Apart from the unlikelihood of anyone offering me a job in one after this week, and my wonderful current calling to a parish church there is much to envy in Cathedral life in terms of Gospel opportunity. So many people coming to Cathedrals know little of the Christian faith and as you point out the missional opportunities are enormous. Who attends worship in Cathedrals? It seems that every congregation will have many people (say 25-45%) who will not have regularly heard the good news of Jesus at least in that place. 2) It is true as Michael Sadgrove, David Runcorn and others point out that there is a place for ‘powerhouses of prayer’. I recently blogged about my experiences with the Friars at Ayelsbury. It was simply the most splendid worship I had been two in years, and consisted of a handful of mainly men in silence for fifteen minutes after a reading and singing of the daily office. There is a great power in the gathering together of a few committed disciples as Jesus well knew. But is that what a midday Eucharist at the heart of a tourist destination really is? I think this is a brilliant post, and quite unarguable. There are always exceptions, thank God. and felt exactly as you describe, like animals in a petting zoo. He gave me the priestly duty of proclaiming the gospel of God, so that the Gentiles might become an offering acceptable to God, sanctified by the Holy Spirit. 3) I had a listen to the book of Acts. In fact I listened to it read out twice. As I heard it read, I was enjoying my sabbatical gardening and praying as I now do daily thanks to all of your comments for all of the Cathedral Deans. The thing that struck me most was St Paul. You just couldn’t stop St Paul explaining the faith whatever you did to him. Chain St Paul up on a ship – he’s preaching. Put St Paul in a market – he’s preaching. Allow St Paul to go ahead to a cultural centre even without his backup team – he’s preaching. Put St Paul in a pulpit in a cathedral that is named after him and require him to preside at a eucharist and make a few public intercessions while scores of people around him look on – you’ve got to bet he’s preaching! Michael Sadgrove mentioned John Welsey who happens to be one of my research projects. With regards to preaching Wesley riled against ‘soul-damning’ clergymen and praised his ‘irregular’ [unauthorised] ‘soul-saving’ lay preachers. I am so pleased to hear that there is so much fruit in Cathedral ministry at the moment, much of it Wesley would be pleased to label as ‘soul-saving’. David Ison has kindly invited me to visit St Paul’s Cathedral to talk and engage which I will be delighted to do after my sabbatical. I hear wonderful things about the team there from those who have gone on placement and enjoyed their company, and about a new ‘faith track’ audio that visitors can listen to on the headphones as they look around the Cathedral. I am sure this Cathedral can and does live up to the name it has inherited and does not desire a renaming. My only hope in this unexpected blogging conversation is that every person who goes to one of our wonderful Cathedrals and is on whatever level seeking the Lord while he can be found will be enabled to find him through one of your, or your lay preachers perhaps, soul-saving ministries.